What To Look For While Hiring Dedicated UX/UI Designer For Your Project? Mobile app and Website these are what the entire world is going on when you are having an online business. This is important to make your audience or the customers to provide all the benefits and good services. For this, all you need is a good mobile app and website for that you need to provide a good user interface (UI) and user experience (UX). When you have a clear understanding of your audiences then you can easily design mobile app and website which captivate users and easy to use. UX/UI designer knows how to present information in a most efficient way. For the project, you need the dedicated UX/UI designer and for that, some of the points are there that should be considered. 1. Technically sound- The designer must be familiar with the basic principles of the UI designing. The psychological aspect of the project and the design should be clear in their mind. Typography, consistency, contrast, color, and balance are some of the basic things in designing that they should know. 2. Acquainted with Latest Tools– Latest designing tools that are in trend should be all known by the UI and the UX designers. For lifting your business to the next level it is good to update your design techniques and principles. 3. Creativity- Before hiring the dedicated UX/UI designer you must know all about the work of your designer from creative ideas to create designs in doing the work. Lots of research are needed for creating something new and attractive to make sure the designer know about research, planning and executing. 4. 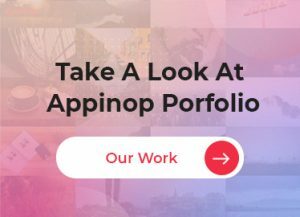 Portfolio- The type of UX/UI work is very important for any online business and the type of work your designer is offering should be clear in front of you. For this, you must go through the portfolio and the previous work of UX/UI designer. Through certification and the awards, you can check their credibility. 5. Pricing- The most important factor that comes when you hire the UI/UX designer for your project. Before you hire the best and dedicated UI/UX designer it is good to be clear about the price. There should be clear and transparent communication. Price varies depending on the experience, specialization and the scope of the project. Doing research about the market price is very important before hiring the designer for the project. To lift the project, your business app and website design need to shift to the next level. It is utmost important to have the best UI /UX designer and one should consider these points while hiring them. Why Invest in Taxi App Development For Your Taxi Business? Mobile App Vs Mobile Website: Which One to Pick For Your Business?